EDMONTON, Alta. 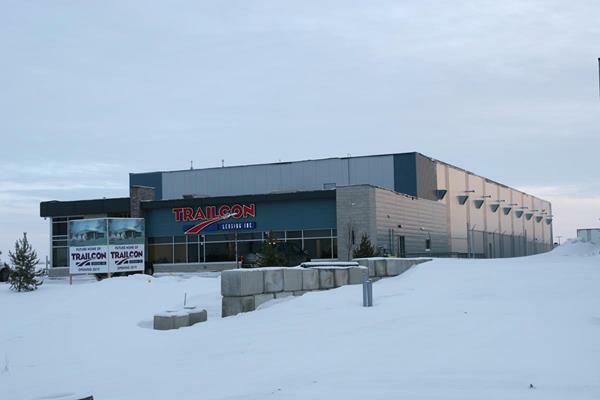 – After breaking ground in June of last year, Trailcon Leasing opened its new Edmonton facility Jan. 7. The company also saw its longtime Edmonton branch manager, Dave Ambrock, retire on the day of the opening, handing over the reins to Laine Hrechuk. The Edmonton location includes a 20,000-sq.-ft. building, and mirrors a new facility opening in Calgary later this year. It replaces the company’s existing Edmonton facility, which opened in 2007. Trailcon president Al Boughton said the new facility will allow staff to continue to meet and exceed the expectations of the company’s customers.